The Brazilian Association of Organ Transplantation identified a concerning trend within the country’s recent organ donations: After five years of increases in the number of potential and actual donors and completed transplantations, these figures have declined during the past three years. The number of donors hit a new low of 14.6 donors per every one million people in 2017 — 5 percent below the intended target for the year. Disproportionate regional donation rates serve as one of the primary problems for the Brazilian health system. Hospital Moinhos de Vento in Rio Grande maintains the highest rate of organ donations — over double the national average — despite being the smallest of the southern regions. As the regions around it see declining rates of donation, the Hospital needed to ensure that its strongest regional donors remained committed to the cause. 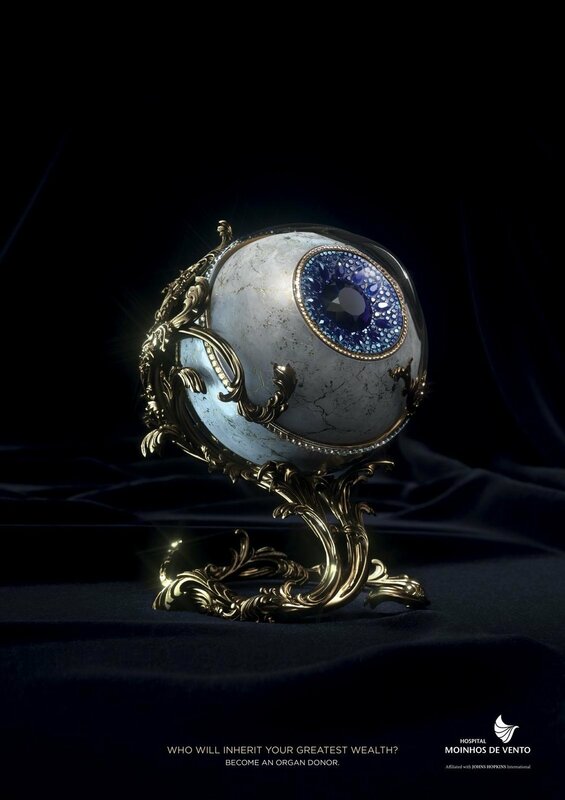 McCann Health transformed images of traditional organs into ornate Fabergé eggs for Hospital Moinhos de Vento, a Johns Hopkins Medicine International partner organization. 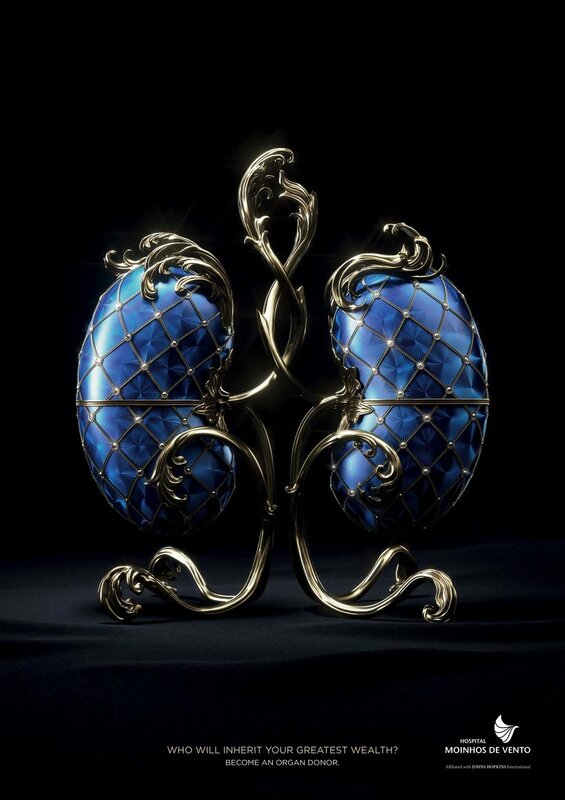 These renderings help potential donors conceptualize the true value of their organs, as traditional Fabergé eggs served as opulent gifts for Russian tsars and were worth tens of millions. The campaign uses three of the highest-demanded items (heart, cornea, kidney) and causes viewers to reconsider a resource they take for granted. Don't waste your greatest wealth. “The campaign seeks to promote organ donations through the most basic question: What you will leave as a heritage?” says Bruno Abner Rebelo, McCann Health Brazil creative director. Ain’t no rest for the wicked. — Hospital Moinhos de Vento is situated in the region with the strongest concentration of organ donors. Other regions, such as the northern region, suffer from an extreme deficit of donors and range from 3.5 effective donors per one million people to 15.5 million effective donors per million. At 30.1 effective donors per every one million people, Rio Grande outpaces all other regions in Brazil; however, that doesn’t mean that the hospital system should rest on its laurels. There existed opportunities for improvement and maintenance of donation levels for the system. Make the ordinary extraordinary. — The campaign reimagines one of our most basic resources as something much more valuable. The work helps viewers change their thinking and reconsider their current perspective. Be bold. — The Brazilian Association of Organ Transplantation discovered that only one in every eight potential organ donors will donate their organs. The campaign’s copy presents a bold and direct challenge to potential donors that pushes them to take action.